The Earthquakes and Crushers are back from their respective conference cups in Minnesota and Arizona which means that a challenging, fun, 25th(!) season of BORP Power Soccer is over. 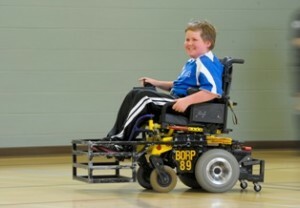 Local success and season-long improvement for the Earthquakes did not translate into success at the Premier Cup and the primary reason for that is the advent of a state-of-the-art power soccer chair:http://www.powersoccershop.com/strikeforcepowerwheelchairandsoccerguard.aspx. Since this chair hit the pitch in June of 2012 it has become the biggest factor in team success and has now made obsolescent (at least at the Premier level) all other competition chairs. This created a discouraging scenario for the Earthquakes as they were outgunned by superior equipment throughout the Premier Cup despite playing their hearts out. Going in the Earthquakes’ hope was that their innovative tactics and cohesive team play would offset the power and quickness of the Strike Force teams but unfortunately that did not prove to be true. Only when the Earthquakes played teams with similar equipment to their own were they able to be competitive and show their quality. Other happy news is that Jake Bath was selected to the Under 18 USA Team that will compete in the first international U18 tournament in Paris this fall. Milo Balcziunas was also under consideration for the team and made it to the final 10 (only 6 were selected). This recognition of Milo and Jake illustrates the athletic promise of the Crushers with 4 players 13 or younger on the roster. 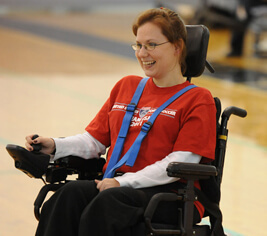 Sad news is that after 7 years, Kendra Scalia is retiring from competitive power soccer as a player and coach. All of us at BORP are extremely grateful for the many contributions Kendra made to BORP and her exceptional qualities as an athlete, competitor, teammate, coach and person will be sorely missed. I am proud of all 3 BORP teams for their commitment to the sport and to each other in 2012-13 and am looking forward to next season (and getting some Strike Force chairs). Donations welcome! 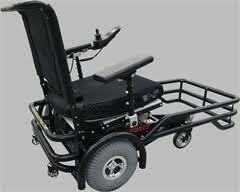 Hope to see you at some power soccer matches next season!